Creating and Using an Employee Time Card – Pacific Amber Technologies Inc.
9. Return to the previous window and select Manual / Preview (but make sure your employee label is selected). 9. 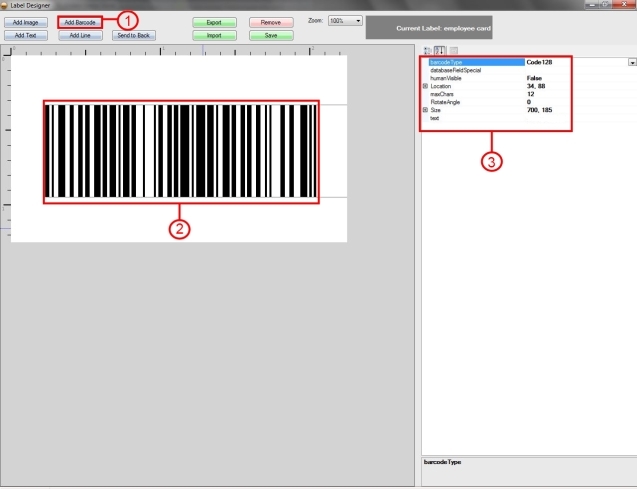 In the barcode field, type in the employee's username that they will use to login into AmberPOS, followed by the asterisk symbol, and then the corresponding password for Amber with no spaces in-between. 11. When the barcode on the card is scanned into the login Username field, it will automatically login the employee into AmberPOS as normal.